Our goal at Happo is to make recruitment easy for everyone. 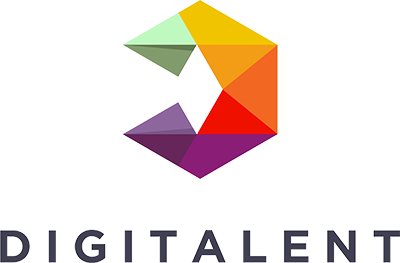 With 20 years in the recruitment industry, we know the stress that comes with finding that perfect hire and understand that the General Data Protection Regulation (GDPR) might be making it a bit harder to focus on your recruitment process. No worries, we’ve put our developers hard at work over these past months to make GDPR compliance easier for you. It's only fitting that an applicant tracking system makes your hiring process GDPR compliant. The heart of GDPR is to give Europeans more control over their personal data and their rights to privacy. Now in Happo, data will automatically be removed when a position is deleted. If you wish to keep a certain candidate data pass that point, you can go into your Team Settings and adjust which information you want to be saved and for how long. If you’re a staffing agency that’s shared a candidate with a client, you will be in charge of how the candidate data will be managed and can remove a candidate if needed while the process is still open. You can upload your company privacy policies and terms and agreements so that candidates can agree to company-specific policies and terms and agreements to your created positions. You will be able to add a link to your policy, upload the document or create a new one. Candidates will then have to agree to your terms when applying for a job. With more control over personal data and more rights to privacy, candidates should have access to the personal information stored about them upon request. 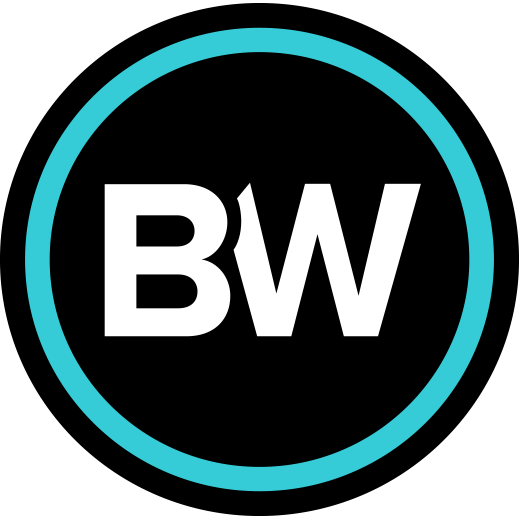 We’ve made it easy for you to make a data export of the candidate data in PDF-format. You will have the option to select which fields you want to include in the PDF. 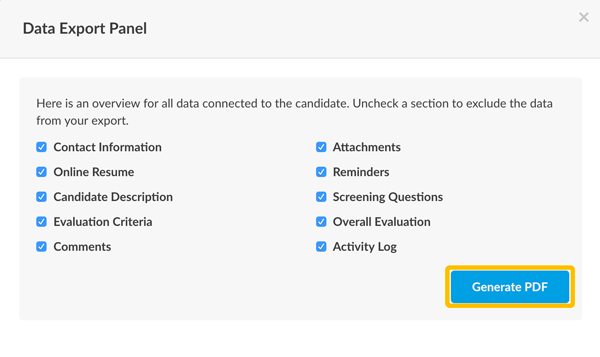 This makes sharing the candidate’s data easy and simple. In some cases, you might need to request more consent when storing candidate’s data. For this purpose, we have created a section that enables you to ask for extra consent when creating an application link. 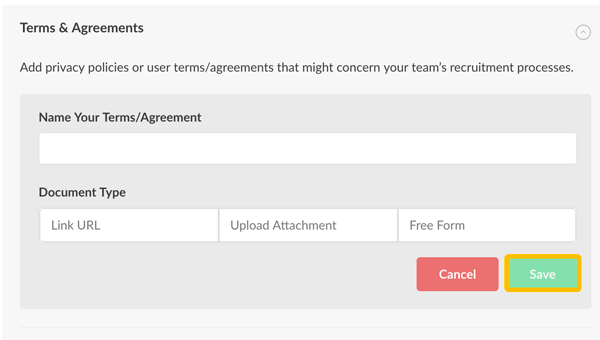 You can store standard consent requests in your Team Settings for the whole team to use or create a new one as you go. As we follow the development of GDPR in the EU and in local markets, we have legal consultations to keep us GDPR compliance. At Happo we are always optimizing our product to make your recruitment processes as easy as possible, so expect to see even more features rolling out soon. As always, if you have any questions, feel free to contact us via chat (that yellow circle in the bottom right corner) or email us at support@happo.com.